Talk about Flower Power! From the honeysuckles to the Jasmine, each petal and leaf stands here as a symbol of true love and friendship. Naturally, it's called OUR WEDDING FLORA. This one would fit in a secret garden just fine. 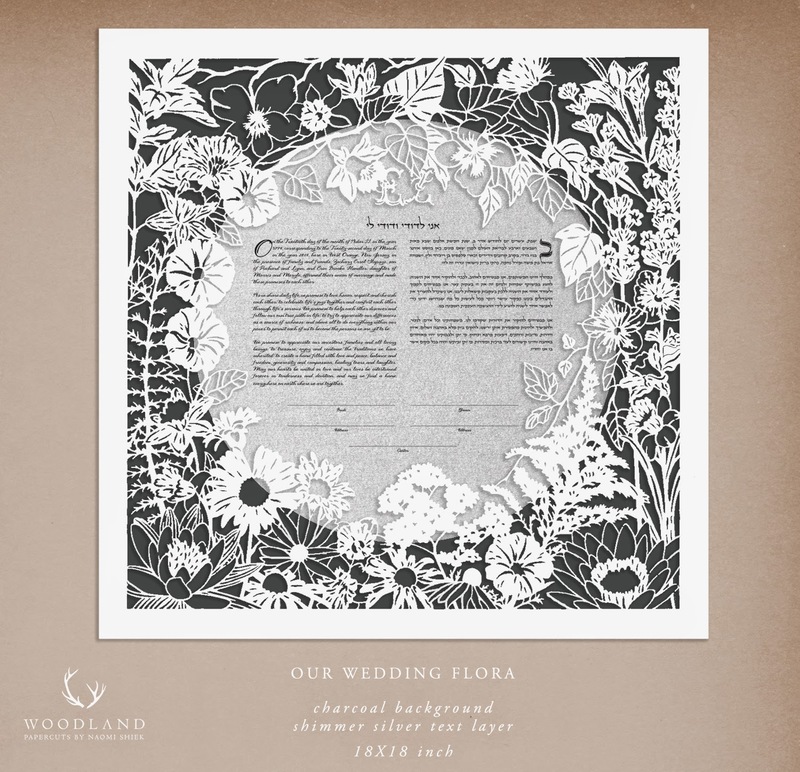 Our Wedding Flora is 18X18" big and has a special detail that will be personalized for every couple - a hidden vine monogram of the couple's name. 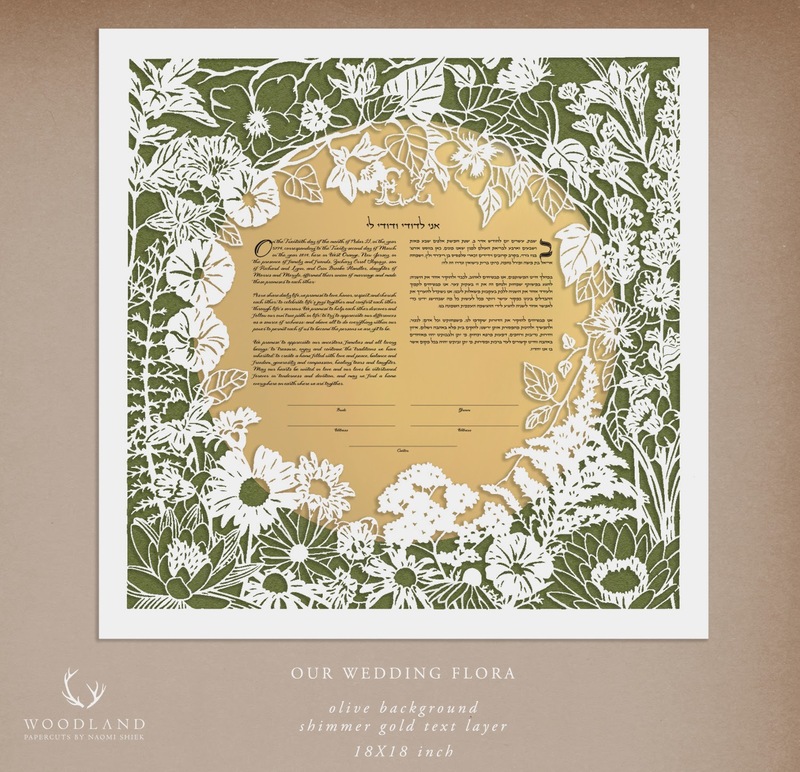 It's photographed here in silver and greys fit for a winter magic wedding, but bring the gold and greens, and the ketubah can take center place in a summer garden! 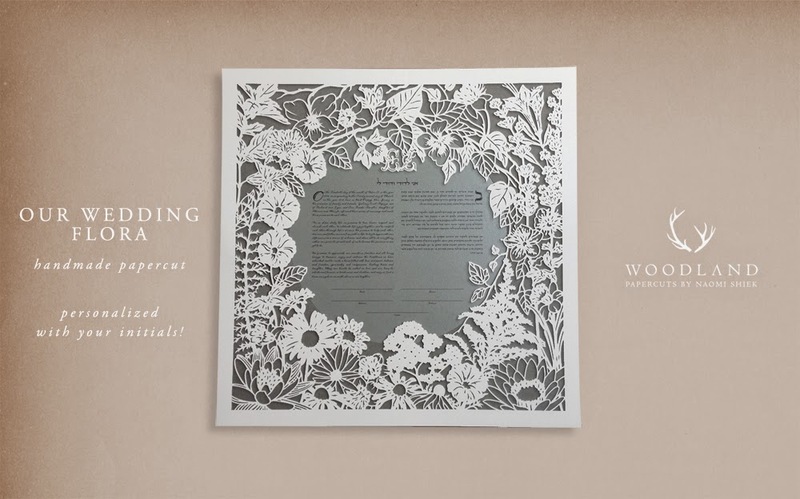 The design was actually born from this custom ketubah commissioned by a lovely couple last year called Flowers & Herbs. 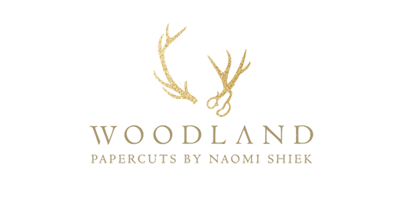 I'm obsessed with that papercut, really. First, flowers. Can't be sad drawing flowers. Second, it represents one of my favorite things to do: decoding art. Symbolism, ladies and gents, love it! 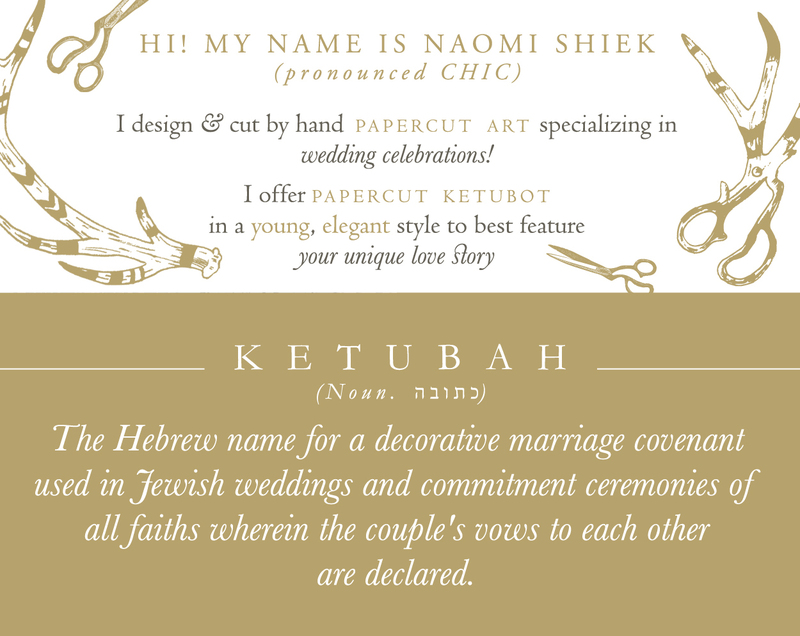 To see more photos of this ketubah and others, go to my TREE & FLORA GALLERY. As always, my availability dates are posted in the website sidebar and my shop announcement.